Flat-pack packaging for easier handling and reduced shipping expenses. Assembles in minutes. 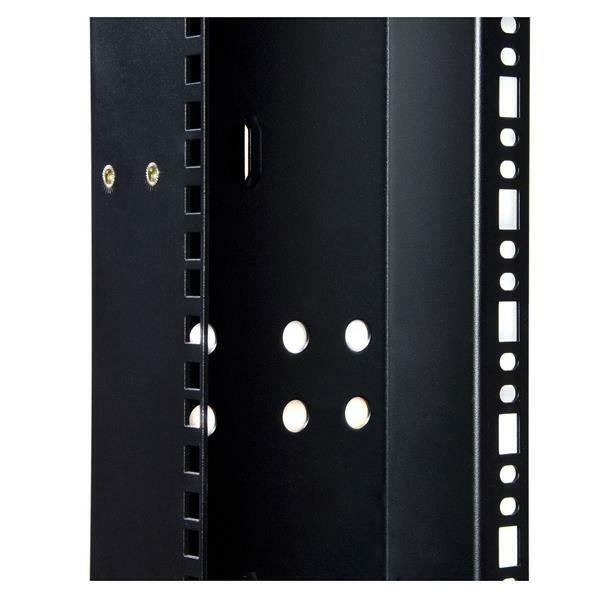 This 45U 4 Post Open Frame Server Equipment Rack offers a solid, reliable solution for mounting servers, UPSs, and other heavy rack-mountable equipment. This TAA compliant product adheres to the requirements of the US Federal Trade Agreements Act (TAA), allowing government GSA Schedule purchases. Supporting a total weight capacity of up to 3300lbs - nearly double the capacity of competitive models, this full size (45U) rack features an open frame design with heavy gauge mounting rails that ensure exceptional structural stability. Built to meet EIA standards for 19in racks, the 4-post open frame rack is compatible with equipment and accessories from most popular manufacturers. 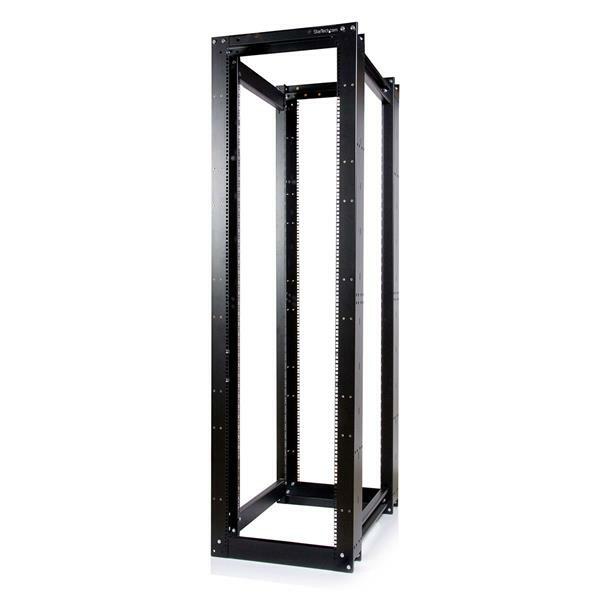 A durable, cost-effective server room storage solution, StarTech.com's DuraRak 45U 4 Post Open Frame Server Equipment Rack is backed by 2-year warranty. 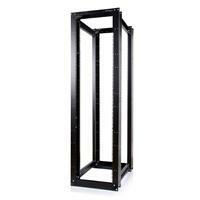 This 45U heavy duty open rack supporting 3300 lb. (1493.21 kg. )is StarTech.com’s largest, toughest and most durable DuraRak rack thus far!